Book cheaper car hire in Castellon Airport - Compare lower cost MPV, SUV, convertible & jeep rental in Spain. Book with debit card. 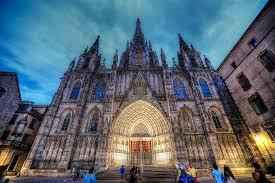 Compare and book cheap car hire in Spain. Also save when renting a larger 7 or 9 seater minivan or SUV. These are some of the companies we use:- Centauro, Flizzr, Dickmans, Goldcar, Interrent, Orlando, Record and Solmar, who have discounted their rates through our website. Drivers aged 21yrs + have a few more options with a few more suppliers, but extra fees still payable. If unsure, please email us. If aged 23 years, then you can book with Flizzr and not have to pay an extra fee. Clean, full, licences must have been held for at least a year. Goldcar once again accept debit cards, with an excess held against the card, unless take out Super Relax Insurance to reduce to zero. Also look for Record Car Hire and Solmar, who also do, with their extra insurance also taken out locally. Some charge for full tank and ask to return empty, but if hiring for under four days, then there is flexibility. Check the terms for each on the rates page, or get quote and send us an email. Must be held for at least a year, but may vary by supplier, especially young drivers. All our suppliers offer modern fleets. Choose from Ford Ka, VW Caddy, Citroen Berlingo or C4 Turbo Diesel. 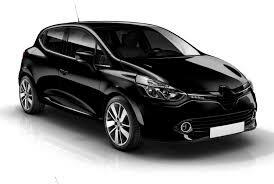 How about the ever popular Renault Kangoo,or larger Opel Zafira or VW Touran? Not forgetting the new and zesty Opel Tigra Cabrio. You can drive 50 kph on city roads, then the open road is 90 kph and motorways 120kph. 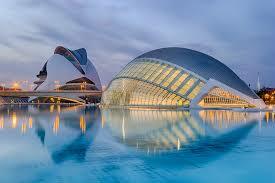 The most popular resorts usually involve flying to Alicante, Valencia. Madrid, Murcia airports. Some will have a desk located in arrival hall and others may offer a meet and greet service outside arrivals or at a specified meeting point. The website clearly shows which, so get a quote today. Most suppliers allow you to do a one way, but this will incur a fee. Save on pre-book vehicle hire for Castellon. Book SUV, MPV & convertibles early, as all go quickly. Goldcar, Centauro, Record & Solmar accept debit cards. 7 seater minivans are popular, so rent early. Rent 9 people minvans at discounted rates. 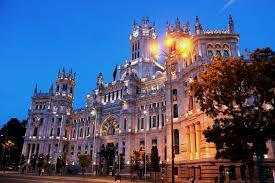 Madrid is the capital and the biggest city with twice the number of people of Barcelona, the next biggest. About forty seven million live in Spain. In some locations, you can ski in the morning and sun bathe in the afternoon. You can also run with bulls and get pelted with tomatoes. 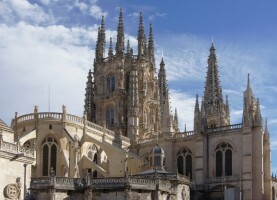 For the latest on what going on in Spain, go to the website of the Spain Tourist Board. As the website will show, Spain has a lot more to offer than sunny beaches and the Costas. It rivals France in terms of good wine and exquisite foods. Discover the Asturias,with mountain ranges and a climate similar to Scotland. The two most well known events are the Pamplona Bull Run, in early July, and the Tomatina Tomato Fight in August. However, before that, head to Tenerife in February for the carnival and festival that celebrates the Burial of the Sardine! To find the festival you want to go to, check here for all Spanish Festivals and plan your trip today. Vehicles cannot be taken off the Spanish mainland toeither the Balearics or Canary Islands. If looking for a busy island then Gran Canaria and Mallorca have the most inhabitants, but if not want to meet many people, then get to Ons, which has less than one hundred people living there. The always popular island of Majorca (Mallorca) offers a good holiday for every type of vacationer, from the beaches and night life of Palma Nova and Magaluf, to the quiet mountain towns and resorts on the rest of this beautiful island. 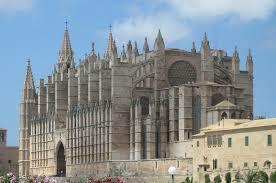 Spending a day walking and shopping around the city of Palma, and it's cathedral, is a day well spent. 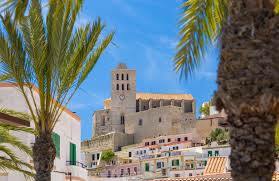 Are you to heading off to the Balearics next and one of the isles of Ibiza or Menorca? If so, we can help with vehicles and hotels.